Some people have found out that the items they have listed on Folksy will have to be delisted on November 1st. So I thought it would help if I posted links to some of the items that have been affected in regular blog posts for the next two months.Click on the photo to be taken to the shop.Get them while you can! AingealDesigns- some lovely wine glass charms. 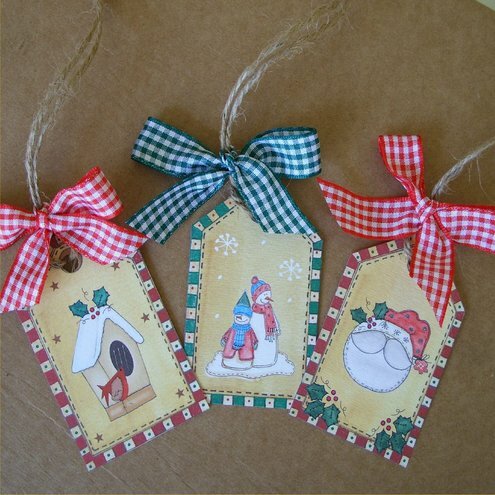 And from Auntyjoan these gift tags. Perfect for Christmas. Just click on the photos to be taken to the shop. Sure someone will snap them up soon.